The sweater vest is coming along but was a bit neglected this week. Nothing much to show. The socks are finished. I want to take them with me to Vienna this weekend and my flight leaves friday morning at 6.30am so I finished them today. 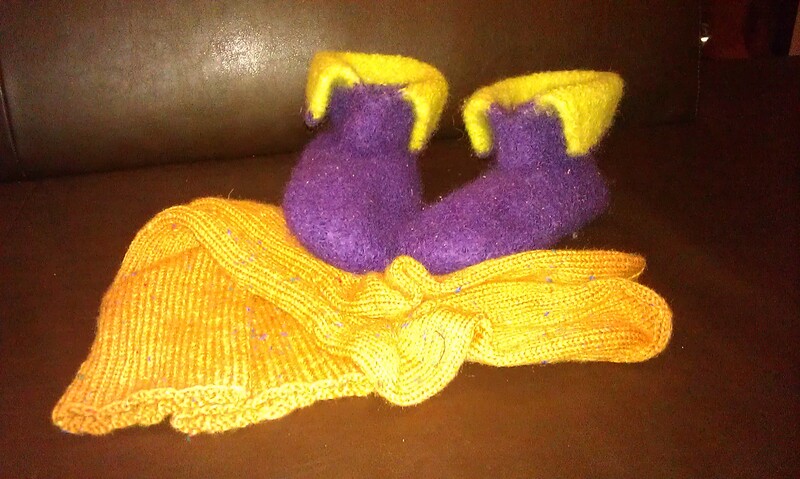 The felted slippers got felted this afternoon and got already streched to fit and are now drying on the heater. They turned out even better than I expected (unfortunately the colour doesn’t show well on the picture). 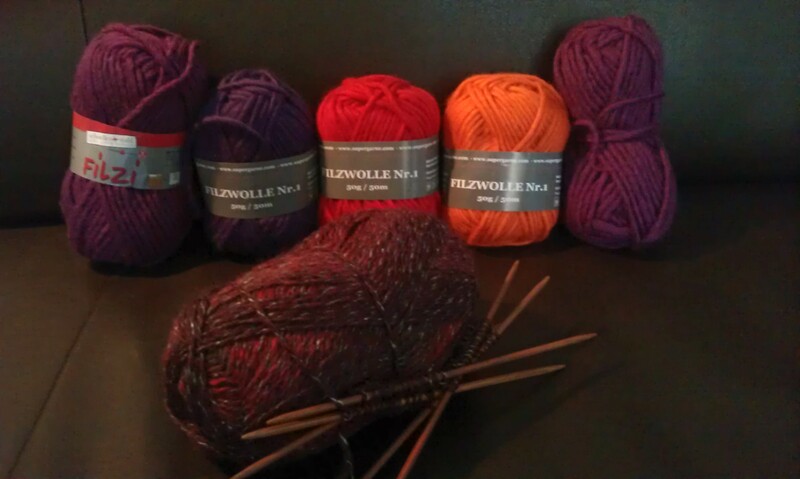 And I already started with something new: I’ll do some more socks and will make felted slippers for myself too. If you want to know how to do them there will be an tutorial next week. Next week I’ll do a blog swap with Marigolds’ Loft so I’ll have my first guest post here on the blog. Don’t miss that. We’ll be posting guest posts on each other’s blog next thursday. It will be the tutorial for the felted slippers. I’ll be joining the Secret Santa Homemade Swap at Marigold’s Loft. It would be great if you would join too. Those felted slippers look so warm and comfy. Wish I had them on my cold feet right now! I seriously wish I had time for projects like that. Sounds awesome! Why not start anyway? It might take longer than a week, but thta’s ok. I have a summer sweater that took me nearly a year to complete due to a lack of time (and motivation at some point) and yet I finished it. And if you are thinking about slippers, they really don’t take long. Effectively maybe 6 hours.